Drunken Devil’s True Crime Supper Club returns on April 12 for a ghoulish time with their signature immersive dining experience: To Live and Di(n)e in L.A. Guests will get a chance to dine with some of the most notorious Los Angeles serial killers such as Harvey Glatman a.k.a. the “Glamour Girl Slayer,” Charles Manson, Richard Ramirez and more. The Black Dahlia will also make an appearance at the dinner. To Live and Di(n)e in L.A offers a four-course meal, crafted by chef Christena Quinn of Brack Shop Tavern, and features dishes inspired by each crime figure and era paired with cocktails. Live entertainment will be provided by dark burlesque and performance art. 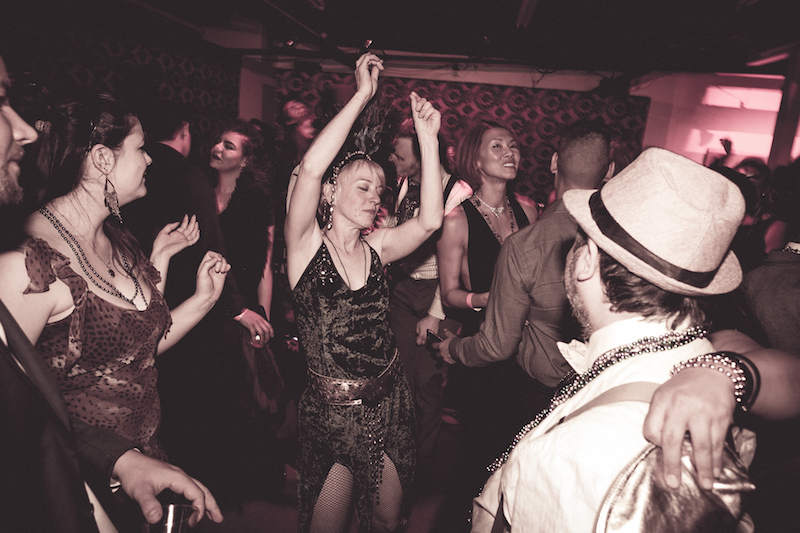 Drunken Devil’s True Crime Supper Club is a 21+ event. The evening will beginning with a cocktail hour at 7:30 p.m. The location will be released to ticket holders prior to event. Tickets cost $200.00 per person and includes a four-course meal, cocktails, unlimited table wine, and entertainment.